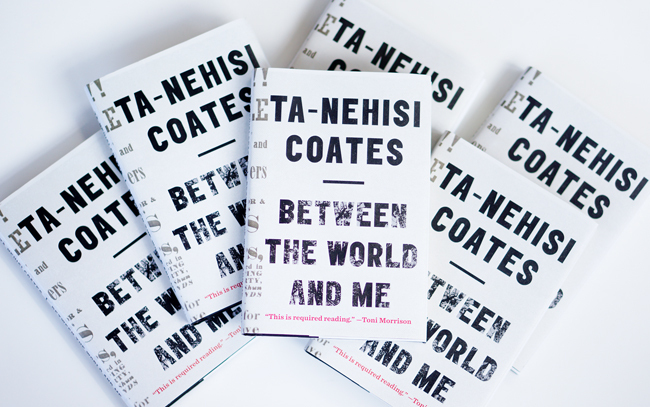 Beyond, or more appropriately, in part because of the extensive coverage of Ta-Nehisi Coates's book, Between the World and Me, several institutions -- universities, churches, libraries, and smaller reading groups -- have adopted the book. Some groups have announced selecting the book to cover in fall 2016 and 2017. Back in the fall of 2015 when the book came out, I coordinated a small online common read of Coates's book with a group here on my campus. I also heard that Howard University selected the book for students to read in a lead-up to Coates giving a talk there. Here's a partial list of "common read" projects, book clubs, and reading groups that have been done on Ta-Nehisi Coates's Between the World and Me as well as upcoming common reads on the book.